Corporate training is more robust, comprehensive and widely studied than ever before. It’s looked at as the best way to address talent gaps and shortages, while remaining competitive. Corporate training is no longer seen as a necessary evil new hires must undergo – it’s instead seen as a way for companies to engage employees, develop leaders, and take a top spot within their industry. Along with corporate training comes the idea of development – typically a way to build soft skills and give employees and top talent a strong foundation for continued success in a company, even if it’s not directly related to the skills needed to fulfill their job. So what about personal development? 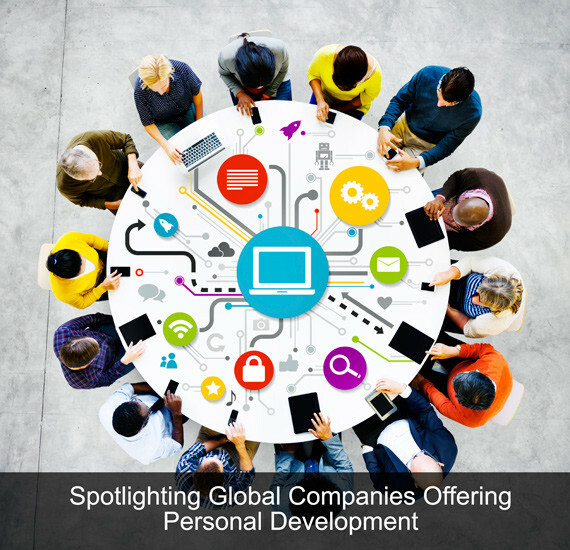 The idea of including personal development options in corporate training is one that’s picking up steam amongst some of the world’s top companies, but smaller organizations may still be asking whether or not it’s worth the investment. Google is almost always at the top of most lists when it comes to being a great overall employer and also for innovation in terms of how employees are treated, trained and developed. It’s no surprise Google has also been offering personal development options for quite some time. Several years ago Google announced the launch of the School of Personal Growth at Google University. The School of Personal Growth was billed as an in-house education opportunity for employees featuring four different areas of study including emotional development, holistic health, and “beyond the self,” based on Buddhist principles. KLM Royal Dutch Airlines has a robust employee policy that encompasses everything from working “hand-in-hand with society” to focusing on remaining a conscientious employer. KLM also places significance on employees’ personal development and growth. As well as a full slate of specialized training and courses offered through the KLM Academy, the company also provides an array of external training options, including the ability to learn a new language. The rank-based components of Canon’s training and development program are designed to enhance skills and knowledge and improve the awareness of job responsibilities, while the elective training is designed to support employees’ ability to fulfill their duties. Also under this umbrella are Canon’s self-development training opportunities, designed with the goal of providing employees with skills and knowledge that will serve personal advancement purposes. There are also business-related soft skills topics included in the self-development training, as well as training on issues like harassment prevention and compliance. Canon’s self-development training is delivered primarily through eLearning and the company holds a variety of events to support this learning and development. For example, employees have the option to take part in events like cross cultural exchange seminars as part of the global awareness personal development options offered. What do you think? Do you see the value of including personal development and growth opportunities within your company’s overall training and development?